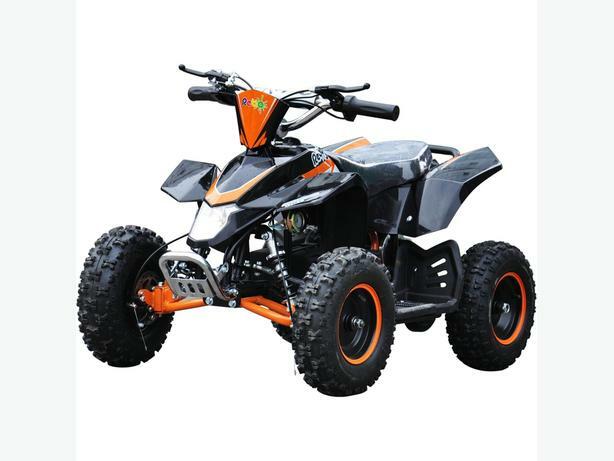 This is the LT120EL the new Lithium battery powered Quad bike from Rebo with a powerful brushless motor, the equivalent of 1200W brushed motor in terms of power output! All that power comes from a virtually silent motor and being electric it means you have a 100% of the torque available immediately as compared to a petrol motor. Add to that the fact electric motors have fewer moving parts than conventional petrol motors so there's less to wear out and you have one amazing quad. 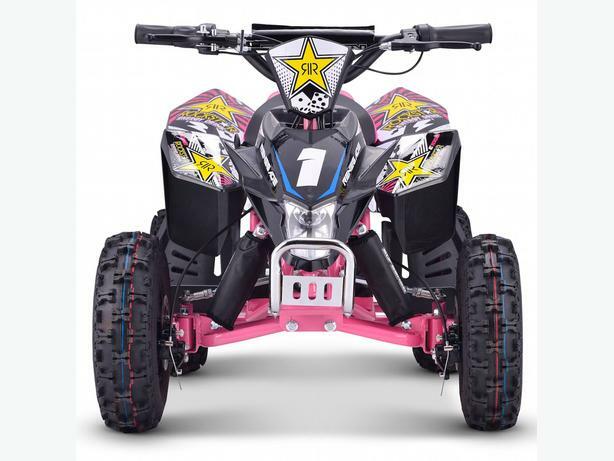 The Lithium battery technology means you have a lightweight power source with a charge time of 5 hour while giving you a longer range so more time to enjoy the great handling and off road fun. 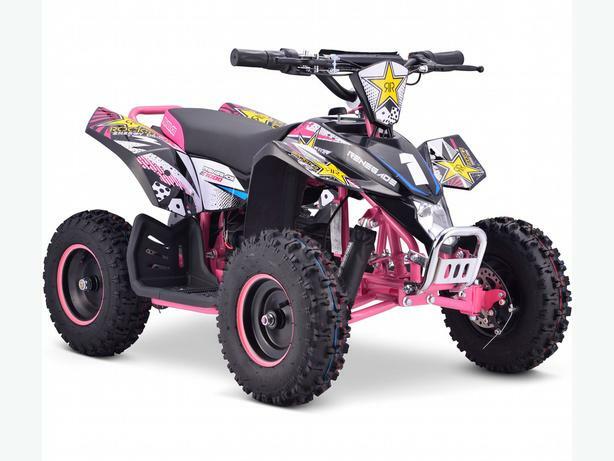 There are front and rear disc brakes, a strong steel frame and 3 speed parental control meaning restricting the top speed is as easy as turning a key, making it great for novice riders to learn the basics at a lower more controlled speed. There's even a reserve gear so no need to worry about going the wrong way as you can just back out of trouble and head off again with ease. 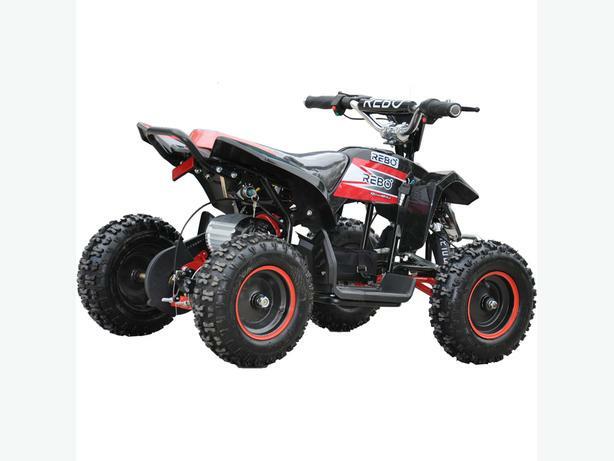 All children should be supervised by an adult at all times when operating the Quad and it is up to the individual parents discretion to decide if their child is old enough to operate the bike.